ItemC-03695 - The tug Mystery on the rocks on Galiano Island. Item C-03227 - Mail car and baggage car completely covered by a snow slide. 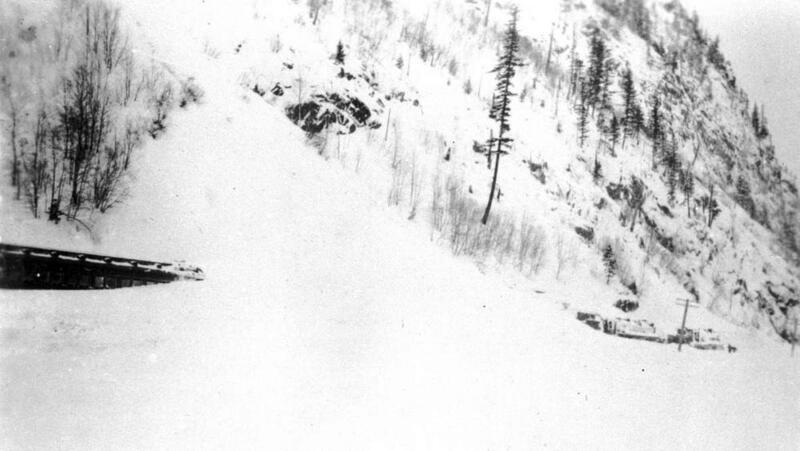 Mail car and baggage car completely covered by a snow slide.